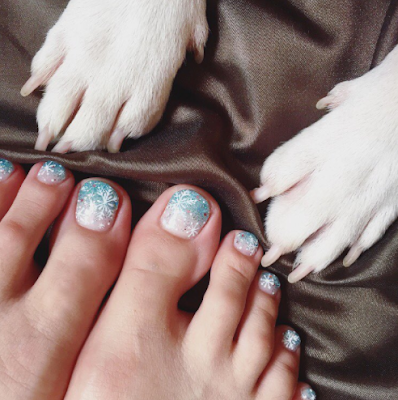 There’s just so much to be thankful for – and today I’d like to specially thank Felicia and Andy, the sweetest team behind Little NailsCastle, a princess-themed nail parlour in Far East Plaza, along the Orchard Road belt. Now if you’re looking for a quaint, dainty spot to spend some girly-time with your #girlsquad, you know where to go! We had snowflakes hand-drawn onto Tiffany-blue gradient nails. Daisy wanted some too. 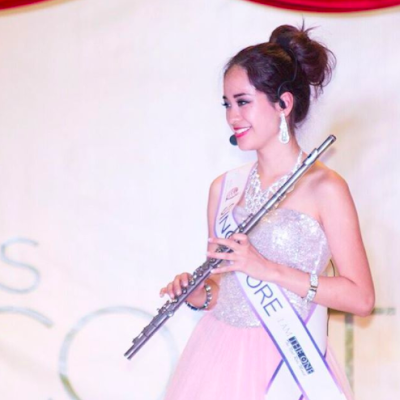 Playing my decade-old flute at the Talent Segment! Glitzy nails fancied up my fingerwork routine. Pink midi-french nails with (naturally) the shimmer! The surprise didn’t end there – Fel stunned me with Aquamarine Seashell nails. I mean – I really don’t know what to say, other than that I can really see Ariel the Little Mermaid visiting Little Nails Castle and requesting for this design! If you look closely, there’re little bits of Mother of Peal in it. I’m hoping to head to the beach really soon and hopefully these nails will attract any remaining Mermaid out of the waters. 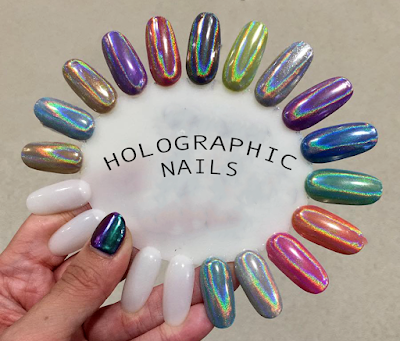 Something interesting Little Nails Castle does now is the Holographic Nails design. They’re available at $6/nail or $30/set. From what I see, they're getting really trendy. It's almost like having a mirror on your nail - which can be really quite useful if you’re needing a last minute touch up! Finally, I just wanted to say how gelish has got to be the best invention for nails in history. I’m constantly typing on my laptop, or working with my hands – and having chipped nails, or messed-up classic manicures really will not do. To me, the quality of the Gelish at Little Nails Castle have proven to last through the roughest of times (literally), and remaining shiny and fresh till your next soak-off. Experience it for yourself – just a little warning: you’ll soon get hooked! All designs are too irresistibly adorable and intricate. Call 6737 1516 or 9151 2005 to book an appointment! Open daily | Monday – Sunday | 11:00 a.m. – 9:00 p.m.